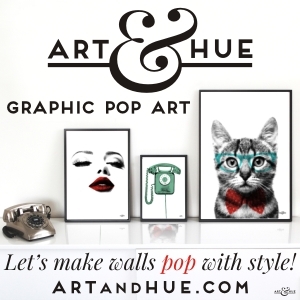 Since Art & Hue got in touch about their Kickstarter project last week, many hours have been spent happily browsing crowd-funding websites to bring you further creative art projects that we can all support. 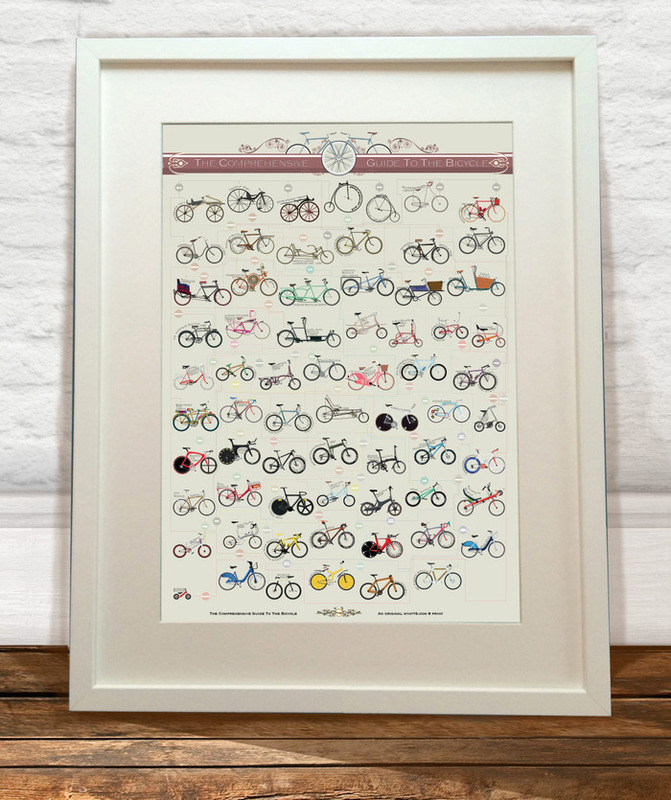 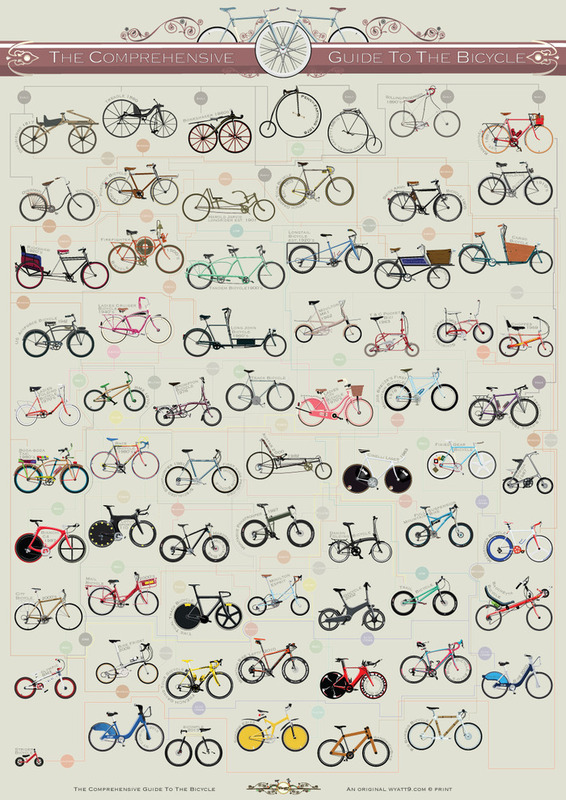 This week, I’m happy to feature Wyatt9, whose work you may recognise from previous #BikeFriday posts, and the stylish bike-obsessed work of their graphic print which details the evolution of the bicycle. 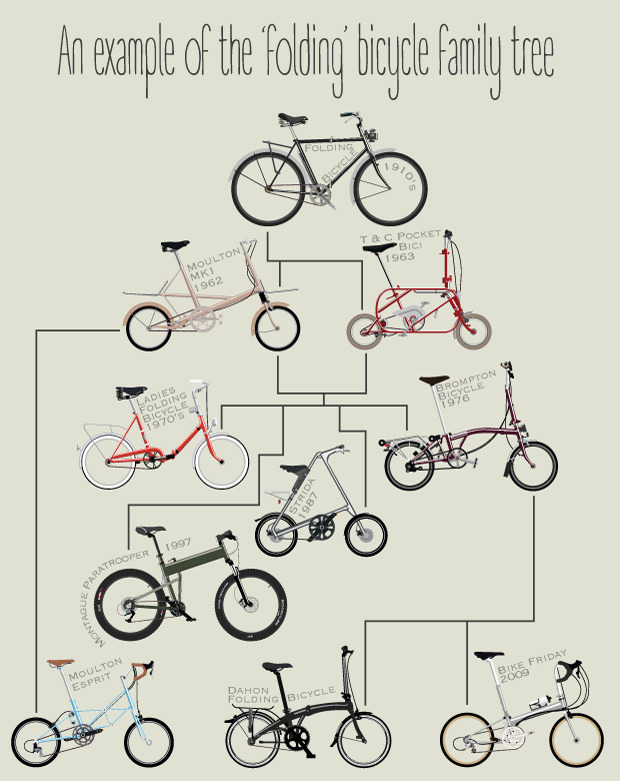 Starting with the first ever bike, which interestingly was a contraption for walking, right through to the present day, Andy Scullion, the designer behind Wyatt 9, is offering various incentives for pledging, such as suggesting which bikes are included in the Bike Family Tree. 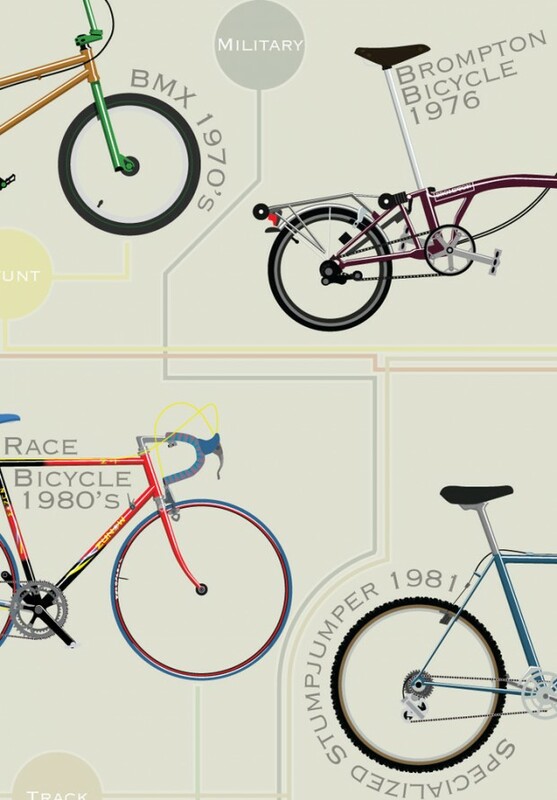 The fundraising campaign ends today so pedal as quick as you can over to the Kickstarter Wyatt9 page to take a look.